New economic measures include raising the income tax for individuals who earn more than 5,200 shekels and raising “the rich people’s tax”. 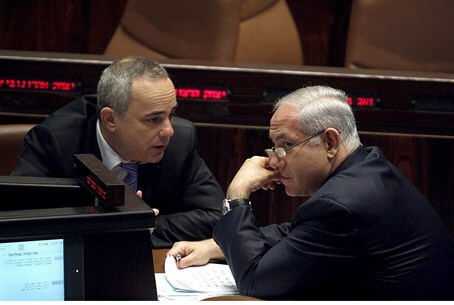 After announcing that the VAT will be raised and that an across-the-board cut for government ministries totaling 700 million shekels will take place, Prime Minister Binyamin Netanyahu and Finance Minister Yuval Steinitz announced more economic measures on Friday. The latest measures include raising the income tax by 1% for individuals who earn between 5,200 shekels and 40,000 shekels per month. Another measure will raise what is known as “the rich people’s tax” – the income tax paid by wealthier Israelis. The proposed measure calls to raise the income tax paid by those who have a capital income of 800,000 shekels or more. All the measures are expected to be brought before the Cabinet and approved on Monday. Shas has said it will oppose the measures, but Foreign Minister Avigdor Lieberman’s Yisrael Beytenu party has agreed to support them. The latest measures are in addition to an order signed by Steinitz on Wednesday and which raised the tax on cigarettes and alcohol, especially beer. As per the order, the cigarette tax was raised from 260.6% to 278.6% and the tax on beer rose from 2.18 shekels to 4.19 shekels. In addition, a tax at a rate of about 10% was imposed on vendors’ existing inventories of cigarettes. Netanyahu, who has already faced criticism over the economic measures, was criticized again on Friday by Labor leader MK Shelly Yechimovich. In response to the criticism, Netanyahu said, “We will not listen to the voices of those inexperienced and irresponsible populists who say that the State can spend money recklessly. Steinitz, meanwhile, defended the economic measures in an interview with Channel 2 News on Friday. “For three and a half years we’ve been guarding Israel from the worst global economic crisis since its establishment,” he said. “There is no mass unemployment here like in other countries. Why? Because we behave boldly and with fiscal responsibility.